Some people may bounce back from a bout of athlete’s foot or a scrape on the foot. Yet, for diabetics, these scenarios could easily lead to a foot amputation. It sounds extreme, but there are over 100,000 diabetic foot amputations each year. Wearing slippers in the house and shoes outdoors can go a long way in protecting your feet from the rough and tumble of daily life. Medicare issues certification for diabetic shoes to help you make the right choice. 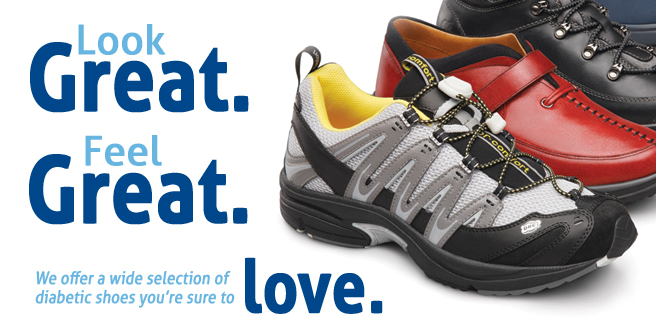 Diabetics should find shoes that conform to the feet with good arch, ankle and heel support. They should provide maximum cushioning and roomy toe boxes. They should be breathable, so that fungus does not grow in the shoes. 4. Clean your shoes regularly. While we wash our socks daily, it’s not so easy to clean our shoes. We can’t just toss them into the laundry machine, for instance, because they’ll surely be ruined. We can, however, invest in a SteriShoe UV shoe sanitizer that kills up to 99.9% of bacteria, fungus and harmful microbes harbored in our shoes in just one 45-minute treatment. We recommend using this device each night to limit your exposure to infectious germs. 5. Eat healthy to bring your weight down. Something as simple as following the South Beach Diet can help you shed pounds, which will have a positive impact on your overall health, as well as your feet. Obese patients have more complaints of plantar fasciitis, inflammation, microtrauma and pain, says Dr. Christopher Hubbard, a board-certified podiatrist with Comprehensive Foot & Ankle Centers. 6. 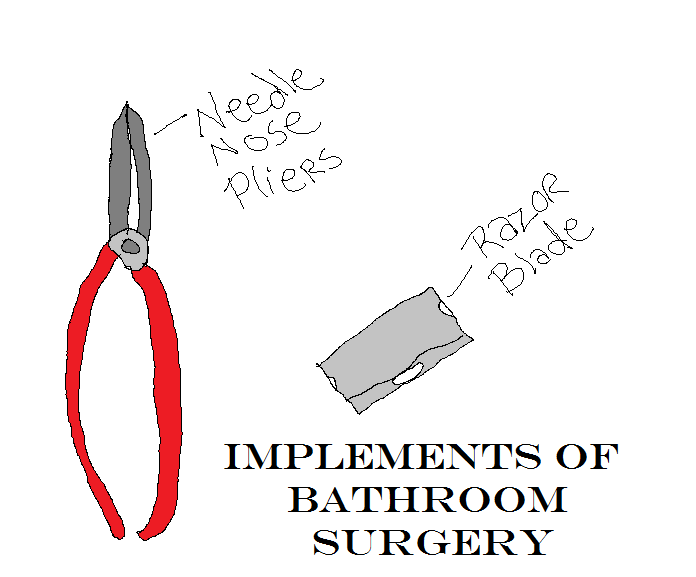 Don’t attempt bathroom surgery. Many people wind up in hospitals because they tried to pop, scrub or remove something from their feet. This is especially common for people who have ingrown toenails. Seeing a physician for debridement purposes or to treat something like corns and calluses is important to prevent further injury to the foot. 7. Prevent foot fungus from growing. In addition to using the SteriShoe UV shoe sanitizer, we recommend changing your socks during the day if they become wet and alternating pairs of shoes to allow for proper drying time. Wear breathable shoes and socks made with sweat-wicking material. Apply a topical anti-fungal to the foot or sock if you’ve suffered from foot fungus in the past. 8. Keep your feet clean and soft. Use anti-bacterial soap and warm water to cleanse the tops and bottoms of your feet twice a day. Afterwards, apply a light coating of skin lotion on the tops and bottoms of your feet, but not in between the toes. This practice will keep the skin supple and free from breaks that may occur as a result of excessive dryness. 9. Aim to keep your blood sugar under control. A 2006 study found that diabetics could reduce the likelihood of developing neuropathy by 64% if they controlled their blood sugar levels with insulin therapy. Patients who controlled their blood sugars adequately also reported less diabetes-related pain. Diet and exercise are two other ways to control blood sugar. 10. Visit a podiatrist annually. Podiatrists can take care of corns, calluses, warts, ingrown toenails, blisters, infections and many other problems commonly suffered by diabetic patients. A large-scale study of 29,000 patients found that diabetics who visited a podiatrist had a 15% lower risk of ulceration and 17% lower risk of hospitalization than those who did not. Another study reported that amputation rates could be halved with regular podiatric care.